Peace Boat’s 2018 Ocean and Climate Youth Ambassadors. 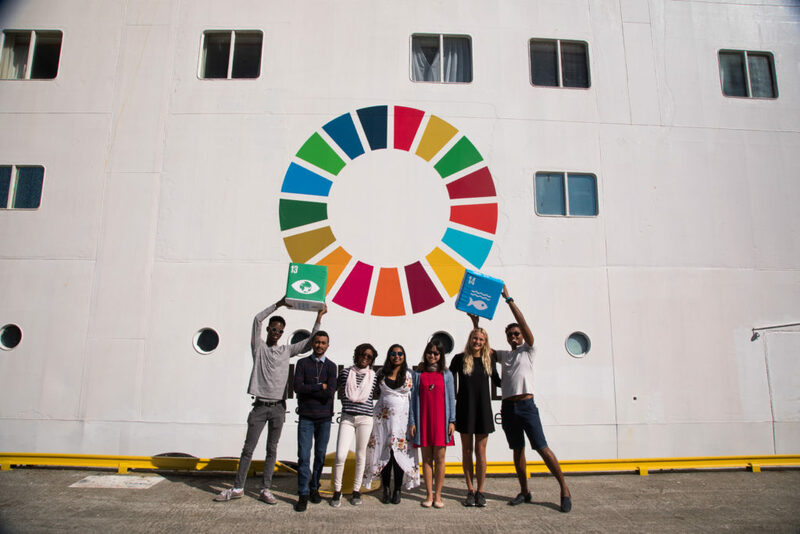 Last summer, a group of youth from Fiji, Palau, Timor-Leste, Seychelles, Mauritius, Singapore, and Barbados joined Peace Boat to take part in the second edition of the Ocean and Climate Youth Ambassadors Programme. During the programme, Peace Boat filmed a short documentary directed by the social impact filmmaker, Ryan Carl. This 6-minute video, ‘The Ocean and Climate Youth Ambassadors – A Short Film by Peace Boat’ aims to contribute to the Talanoa Dialogue for Climate Ambition, a process to take stock of collective efforts to reduce emissions and build greater resilience, in line with the long-term goals of the Paris Agreement. Through its 35-year history of conducting educational voyages, Peace Boat has visited many small islands states organizing study and exchange programmes. During this time, Peace Boat has witnessed first-hand how these small territories on the front line of climate change have experienced a degradation of their coastal areas. In 2017, Peace Boat began the Ocean and Climate Youth Ambassadors Programme to bring youth leaders from countries which are members of the Alliance of Small Island States (AOSIS) to travel onboard our ship, engaging in capacity building and bringing their message to citizens and government representatives through the voyage. After the success of the first edition, which brought together youth from Fiji, the Marshall Islands, Kiribati, Seychelles, Maldives, Trinidad, and Tobago, and Belize, the second edition was organized in June and July 2018. The third edition will take place in May-June 2019. Peace Boat’s Ocean and Climate Youth Ambassadors Programme was launched at the United Nations Ocean Conference and recognized by the COP23 Presidency Secretariat as an Endorsed Event of COP23.